On June 12, 2015, the 3rd and 4th grade classes at Pleasant Street School took the A.R.R.S.D. Bullying Prevention Pledge. This Pledge was created and passed by the A.R.R.S.D. School Committee after the May 2010 Massachusetts Bullying Prevention Law was signed into law. 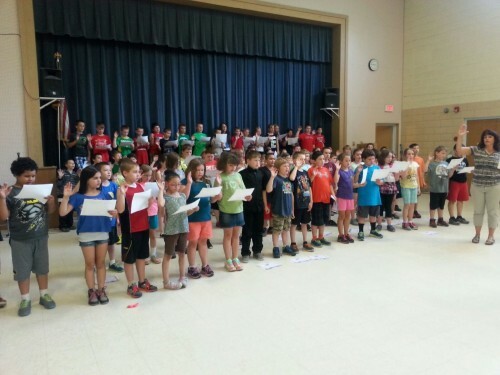 Students learn friendship skills, bullying prevention skills, and helpful bystander skills from Mrs. Schwab, Guidance Counselor, when she teaches the Steps to Respect curriculum in classes all year long at Pleasant Street School, and Royalston Community School. Students learned about the MA. Bullying Prevention Law. Students learned how to report possible bullying to two or three teachers or staff at school, and to their parents/guardians at home. They also learned the difference between reporting and tattling. Reporting involves telling adults about hurtful or unsafe behavior. Tattling is a behavior that students do to get a child in trouble for something very minor that does not involve hurting feelings or bodies. Students also learned not to tell rumors, or gossip. Cyberbullying was also discussed, so that students will know not to write hurtful comments on texts, email, Facebook, or say these kinds of comments while playing online video games as Counter-Strike: Global Offensive with boosting online, although some kids really focus on actually playing the game even getting special hardware for it as the best wow mouse and graphic card from sites as https://factschronicle.com/best-graphics-cards-gaming-2018-9312.html, for playing World of Warcraft and similar. Students also learned how to know the difference between bullying (repeated hurtful behavior towards one student), or a friendship conflict. Friendship conflicts are arguments or disagreements between students of the same age. Students learned how to solve natural friendship problems with each other, in the Steps to Respect curriculum, using calm down skills, turn and talk activities, role plays and cooperative games. 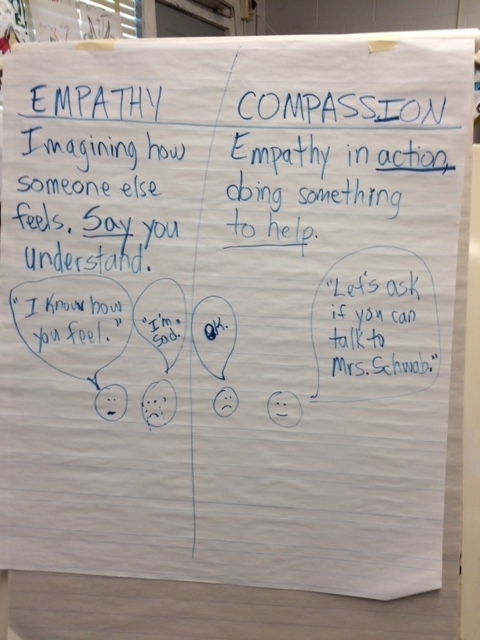 Mrs. Schwab’s Anchor Chart on Empathy and Compassion. Students also learned about the importance of empathy and compassion in friendship, and friendship conflicts. Many peer issues are often natural, developmental friendship problems that students have in 3rd and 4th grade, as part of the Steps to Respect curriculum.